Lile, Sábha and I were recently chosen as Brand Ambassadors for Lottie Dolls by Arklu. As big fans of this Irish company, we were thrilled to be asked and excited to share our thoughts on them with you. I really hope you'll enjoy what we share! 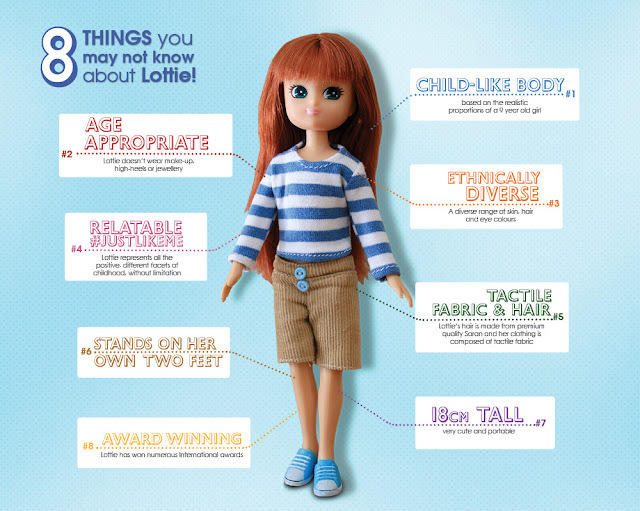 Lottie Dolls, if you haven't heard of them before, are award-winning dolls that aim to encourage kids to embrace individuality, enjoy their childhood and embark on meaningful adventures. Unlike other dolls, Lottie (and Finn, the boy doll) are based on characters that are nine years of age. Lottie and Finn are relatable, age-appropriate and fun. Many of the dolls and accessories from the collection were actually inspired by real girls which means Lottie Dolls have a diverse range of interests, such as; stargazing, fossil hunting, robot-making, gymnastics, animal welfare and being a super hero! Santa brought us our first Lotties a few years ago (Autumn Leaves & Pandora's Box Lotties) and the girls loved them. School Days Lottie and English Country Garden Lottie have joined the ranks since and they are regularly played with - although they swap clothes so much it's getting difficult to tell who's who! Our first 'samples' came in the post just before we packed our bags to head up to Leitrim for a few days so our new Lotties came with us for the trip. While we were there we filmed this little video review. 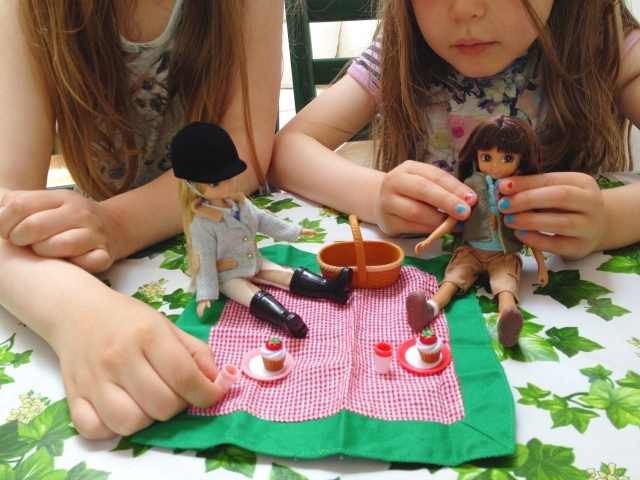 Press play to see what Lile and Sábha thought of Pony Club Lottie, Fossil Hunter Lottie and the cutest little picnic set! You can get your hands on Lottie Dolls in the Art and Hobby Shop (nationwide) or search HERE for other stockists near you. You can also shop online, of course, and if you join Club Lottie you'll get a 10% discount off your first order and access to exclusive discounts, promotions and more. P.S. 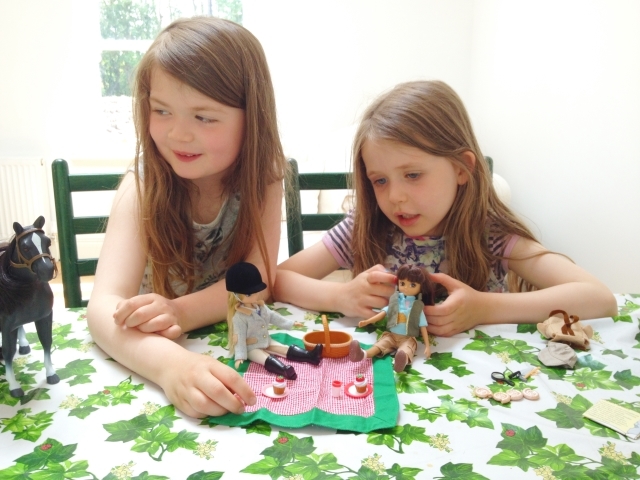 There's also a fantastic 'Activities' page on the Lottie Doll website full of competitions, science projects, colouring pages and much more - perfect to keep your little Lottie fans busy over the summer holidays. I know my printer will be working overtime for sure! Disclosure: We were sent Pony Club Lottie, Fossil Hunter Lottie and the Picnic Accessories set for the purposes of review. 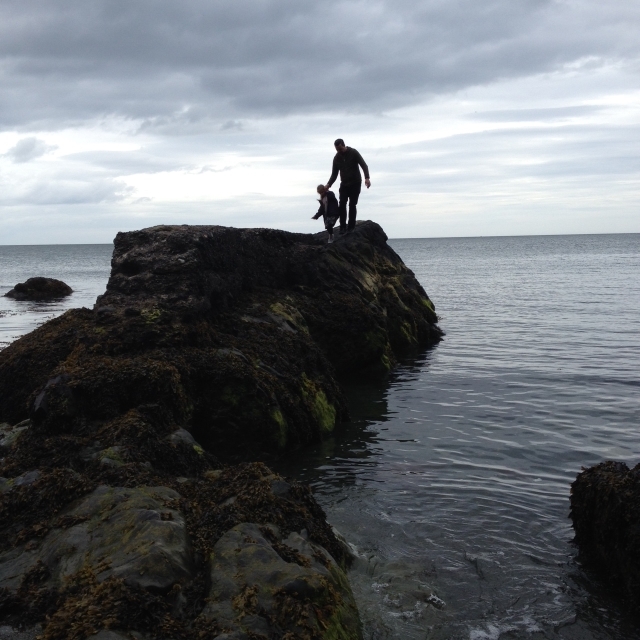 All opinions are my own and those of my children, however, and we were not paid to give them. Thank you for supporting the brands that support Where Wishes Come From! Your girls are natural video reviewers :) I really love the fossil hunter lottie doll, what a cool role model. I think she would make a great gift for my 5yo niece (I've been trying to think of something to get her for her birthday). I love the Lottie's! I don;'t think my boys would be impressed if I showed up with them though. However, I keep threatening to pick up a couple for two little girls I know. They are fabulous dolls. What great dolls! I love that they are Irish and your girls are just such great ambassadors for them. So cute! Thanks so much Lucy! I love that Lotties are an Irish product too. So important to support local enterprises - especially when they're this cute! 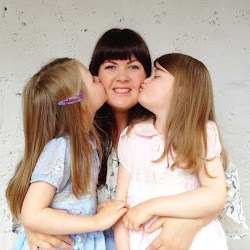 Lottie is fab and so are your girls - gorgeous pics as always!